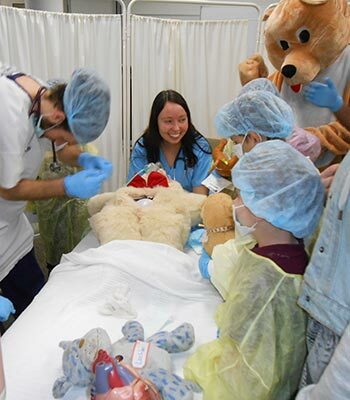 Year A medical students host a teddy bear hospital with primary school children. The teddy hospital aims to alleviate "doctor fear" among young children. Monash Rural Health Churchill is co-located with the Gippsland campus of Federation University.